As we all know, CES is a show about a lot of things, cars, phones, trucks, Smart Home stuff, weird gadgets, and lots and lots of laptops. 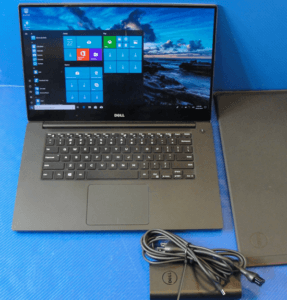 But this year, we’re seeing a very different sort of lineup of laptops than we usually do, one that’s more focused on subtle, more iterative changes than these big sweeping upgrades that we’re usually used to. 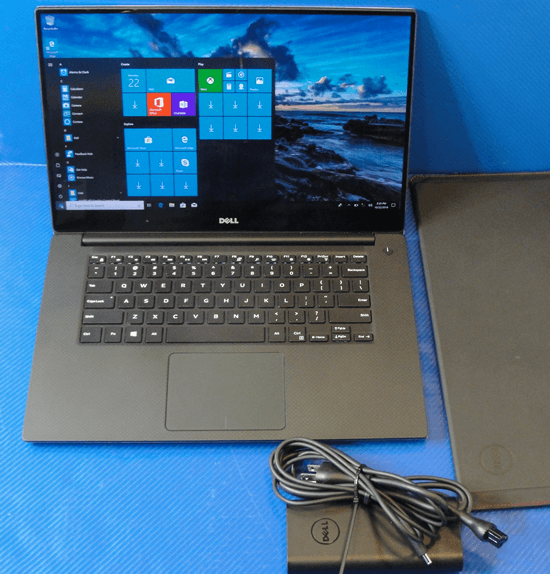 Take Dell as a leading company that sell laptop computers and their best seller XPS 13s laptop for example. Last year’s model, or the year before that, or the year before that, or even the year before that, it was already a fantastic computer. Dell did update it this year, but the biggest change was really small. All they did was move the camera from the chin of the screen to the top of the screen. Don’t get me wrong, it’s a notable and important change. However, no one is exactly calling this a giant earth-shattering upgrade. Take Lenovo, whose updates were a new, fantastic screen for the Yoga S940, which, again, looks great, and new materials for the ThinkPad X1 models. Again, don’t get me wrong, they aren’t bad updates, but they aren’t big updates. Asus had new thin bezel laptops with bezels that are even thinner than the already razor-thin ones that they announced at IFA. They are so small actually that the company had to make a reverse notch to house the webcam on top of the screen. They look great, but it’s again, not a huge update, and compared to the ones at IFA, it’s just not the same leap forward as when they first introduced the design. There’s Samsung, which updated the Notebook 9 Pro with a new design which it badly needed. The old one wasn’t great and this one feels much better, much crisper and more professional. But, from an internal parts perspective, it’s still basically the same computer as last year’s. Which again, was a good computer, but it’s not a big leap. Then there’s HP, whose biggest laptop update this year was a new OLED screen version of its Spectre x360 laptop. It looks spectacular, especially when you look at it side-by-side with the old model, but if you have the old model on its own, there’s really not such a reason to upgrade. This speaks to a larger trend that we are going ot see throughout 2019, which is that our laptops right now are already really, really good. That means coming up with improvements and advancements going forward is going to be a much harder and much slower process. Part of the problem is technical too. Right now there just aren’t really and new Intel chips to put into laptops, and without those processors which allow things like improved battery life or better performance, seeing these sort of big, monumental changes with the same tech we already have now, is going to be a much slower and subtler process. All the factors that were leading to slower development of mainstream laptops this year, didn’t really exist in the gaming PC side of the house. Instead of not having new Intel chips, gaming PCs got brand new GPUs from NVIDIA with its new mobile RTX line. The overall lack of pressure in that field means that it’s become a place of really cool and fun experimentation with wild weird concepts coming out. Part of those updates has still been relatively ordinary. Some of them have just been simple specs boosts, where they are just taking advantage of these new GPUs, things like Asus’s new Zephyrus X, or Acer’s Predator Triton 500. They are thin, they are light, and they are gaming laptops that look and feel closer and closer to a regular laptop. Which is great, but the real fun comes from the big weird machines. A crazy laptop is Asus’s ROG MOthership, which is a massive 17″ beast of a computer that’s basically a Surface Pro that’s been super-sized and plays games really well. The tech is really cool. Instead of building the laptop on the bottom and letting all of that heat build up between the desk and the computer, Asus just turned everything on its side so heat can vent out of the back and the sides because of this nice standup computer. The keyboard even detaches and you can use it as a regular desktop keyboard. There are also things like Acer’s Predator Triton 900, which is a wild 2-in-1 $4,000 monster gaming laptop, with an incredible 17″ screen that has a crazy hinge that you can flip and turn it around, you can even convert it into a giant tablet if that’s what you want to do. It’s the sort of tech we’ve seen on mainstream laptops for a while, but when you apply it to this giant gaming laptop, it takes on a whole new spin. Alienware’s Aline 51M could have been the most impressive laptop at the show. It is basically a desktop computer that’s been shrunken down a bit and attached a screen and keyboard to it. It takes desktop-class Intel chips, so if you have a gaming PC you can literally rip the chip out of your computer and stick it in your laptop. it has removable GPUs which is a concept that we really haven’t seen on gaming PCs in years. Maybe it’ll work this time, maybe it’ll be like desktops wherein a couple, three years, you can just buy the latest NVIDIA or AMD card and screw it into your laptop, and suddenly, you can play better games. It already has monstrous specs: 64GB RAM, incredible screen, and Alienware actually made it look really good, which is great. Though companies are currently making these devices with a multi-thousand dollar price tag, as time and tech evolve, these characteristics should begin making their ways into the regular laptop market and hence end up being way more affordable, that’s when it all get’s more fun for the rest of us. Not only can you expect that the tech gets more affordable, but you can also always count on selling your laptop online with companies that offer buy-back deals and recycling. As tech evolves, so should the industry of handling broken laptops and old tech. Who knows? Maybe you can even make some money selling your old laptops.